WWSI-TV, Telemundo’s Philadelphia affiliate, hired Kathia Lopez to produce the weekday newscast at 5 p.m. Lopez previously served as a news producer at Univision’s KFTV in Fresno, California. She has also worked for KREN-TV in Reno, Nevada and KINC-TV in Las Vegas. 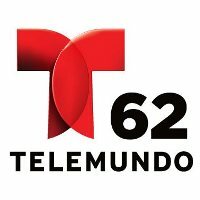 Follow Telemundo 62 on Twitter.